Why the alternative to Tube Stands? Tube stand risers bend & snap off – OxStand risers are open at the bottom, allowing water to pass, so less chance of rusting. When risers eventually need to be replaced, they can easily be replaced due to the design of the OxStand. Tube Stands often don’t last – OxStand is made of durable high density polyethylene, plus the fiberglass backbone provides added strength & support. Why the alternative to Sand Bags? Sandbags split – BigFoot is made of durable recyclable PVC and there’s no mess to clean up! Sandbags are difficult to stack – BigFoot is designed to stack to keep your yard and truck tidy. For easy storage, deployment and transport look to BigFoot. Sandbags don’t last – Durable BigFoot provides a return on your investment, able to be used on dozens of deployments. Sandbags only weight a portion of the stand – One BigFoot22 weighs 53lbs and covers most stands and OxStand. BigFoot24 fits over most 2’x2′ square stands. 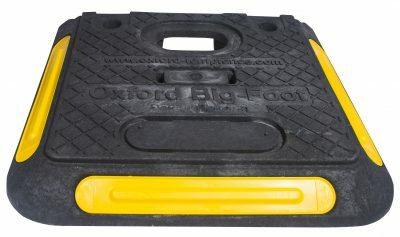 Sandbags are a trip hazard – BigFoot‘s low profile & HiVis edges reduce tripping. BigFoot is available in 2 sizes, BigFoot 22 sits over OxStand and BigFoot 24 sits over square tube stands. Why the alternative to Concrete Blocks? Concrete Block Stands are cumbersome to maneuver – OxBlock has cutouts for efficient handling. Easy to deploy, stack, & store. 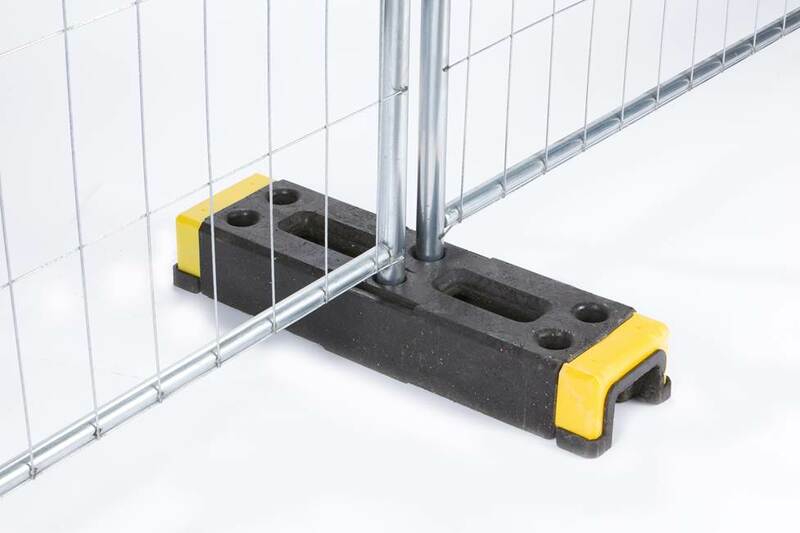 Concrete Block Stands crack & fall apart – OxBlock is made of a durable thermoplastic compound. Concrete Block Stands are not versatile and are a trip hazard – OxBlock has multiple holes to accommodate various setup configurations. 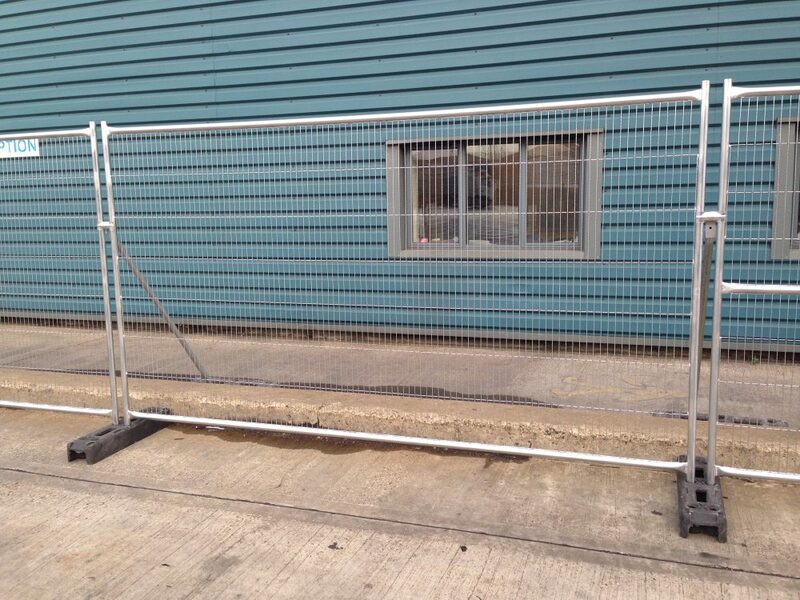 End holes & HiVis endcaps reduce the liability of trip hazards.